Home / Pantry Items / Condiments, Sauces, Dressings, & More / All Purpose Sauces / Fresh Zen Ginger Scallion Sauce 6.3 oz. Home / New England Classics / Condiments, Sauces, Dressings, & More / All Purpose Sauces / Fresh Zen Ginger Scallion Sauce 6.3 oz. Home / Hot GIFT Ideas / Gifts For Him / Party Favorites / Condiments, Sauces, Dressings, & More / All Purpose Sauces / Fresh Zen Ginger Scallion Sauce 6.3 oz. Home / BBQ & Grilling / Condiments, Sauces, Dressings, & More / All Purpose Sauces / Fresh Zen Ginger Scallion Sauce 6.3 oz. Home / Hot GIFT Ideas / BBQ & Grilling / Condiments, Sauces, Dressings, & More / All Purpose Sauces / Fresh Zen Ginger Scallion Sauce 6.3 oz. Home / Hot GIFT Ideas / Gifts For Him / Party Favorites / BBQ & Grilling / Condiments, Sauces, Dressings, & More / All Purpose Sauces / Fresh Zen Ginger Scallion Sauce 6.3 oz. Home / Specialty Grocery / Condiments, Sauces, Dressings, & More / All Purpose Sauces / Fresh Zen Ginger Scallion Sauce 6.3 oz. Home / Foods of New England / Condiments, Sauces, Dressings, & More / All Purpose Sauces / Fresh Zen Ginger Scallion Sauce 6.3 oz. Home / Pantry Items / Condiments, Sauces, Dressings, & More / Marinades / Fresh Zen Ginger Scallion Sauce 6.3 oz. Home / New England Classics / Condiments, Sauces, Dressings, & More / Marinades / Fresh Zen Ginger Scallion Sauce 6.3 oz. Home / Hot GIFT Ideas / Gifts For Him / Party Favorites / Condiments, Sauces, Dressings, & More / Marinades / Fresh Zen Ginger Scallion Sauce 6.3 oz. Home / BBQ & Grilling / Condiments, Sauces, Dressings, & More / Marinades / Fresh Zen Ginger Scallion Sauce 6.3 oz. Home / Hot GIFT Ideas / BBQ & Grilling / Condiments, Sauces, Dressings, & More / Marinades / Fresh Zen Ginger Scallion Sauce 6.3 oz. 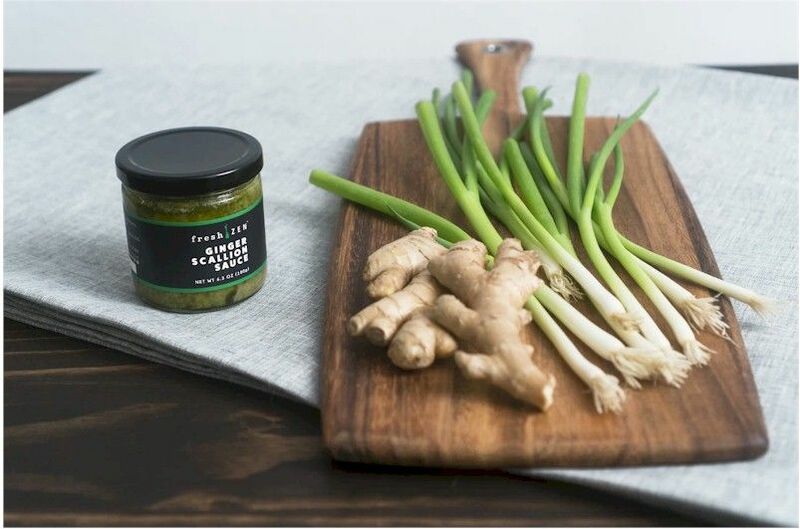 Home / Hot GIFT Ideas / Gifts For Him / Party Favorites / BBQ & Grilling / Condiments, Sauces, Dressings, & More / Marinades / Fresh Zen Ginger Scallion Sauce 6.3 oz. 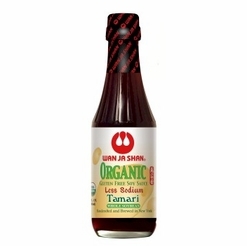 Home / Specialty Grocery / Condiments, Sauces, Dressings, & More / Marinades / Fresh Zen Ginger Scallion Sauce 6.3 oz. Home / Foods of New England / Condiments, Sauces, Dressings, & More / Marinades / Fresh Zen Ginger Scallion Sauce 6.3 oz. Home / Pantry Items / Condiments, Sauces, Dressings, & More / Dipping Oils/Sauces / Fresh Zen Ginger Scallion Sauce 6.3 oz. Home / New England Classics / Condiments, Sauces, Dressings, & More / Dipping Oils/Sauces / Fresh Zen Ginger Scallion Sauce 6.3 oz. Home / Hot GIFT Ideas / Gifts For Him / Party Favorites / Condiments, Sauces, Dressings, & More / Dipping Oils/Sauces / Fresh Zen Ginger Scallion Sauce 6.3 oz. Home / BBQ & Grilling / Condiments, Sauces, Dressings, & More / Dipping Oils/Sauces / Fresh Zen Ginger Scallion Sauce 6.3 oz. Home / Hot GIFT Ideas / BBQ & Grilling / Condiments, Sauces, Dressings, & More / Dipping Oils/Sauces / Fresh Zen Ginger Scallion Sauce 6.3 oz. Home / Hot GIFT Ideas / Gifts For Him / Party Favorites / BBQ & Grilling / Condiments, Sauces, Dressings, & More / Dipping Oils/Sauces / Fresh Zen Ginger Scallion Sauce 6.3 oz. Home / Specialty Grocery / Condiments, Sauces, Dressings, & More / Dipping Oils/Sauces / Fresh Zen Ginger Scallion Sauce 6.3 oz. Home / Foods of New England / Condiments, Sauces, Dressings, & More / Dipping Oils/Sauces / Fresh Zen Ginger Scallion Sauce 6.3 oz. Home / Popular Brands / Fresh Zen / Fresh Zen Ginger Scallion Sauce 6.3 oz. 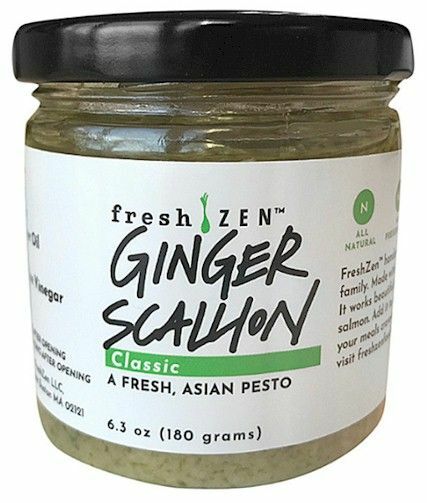 FreshZen handcrafted, authentic Ginger Scallion Chinese pesto spans generations in their family. Made with the freshest ginger + scallions, it bursts with bold and savory flavor. It works beautifully as a simple cooking sauce, marinade, or topping for oven-roasted salmon. Add it to rotisserie chicken, pork, noodles, and sandwiches to make your meals crave-worthy. The possibilities are endless. Simple, fresh, and yet so flavorful, this delightful Asian inspired condiment is a perfect compliment to any seafood, breakfast egg, chicken or even avocado toast. Growing up in New York’s Chinatown, founder Ruby Chan said her family’s version of this sauce found its way into virtually everything they ate. Today, Ruby aims to share her childhood enjoyment with home chefs like you. 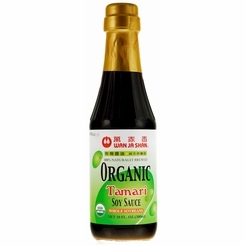 Wan Ja Shan Organic Tamari Soy Sauce 10 oz. 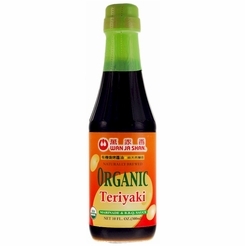 Wan Ja Shan Organic Teriyaki Sauce 10 oz.